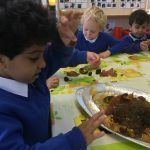 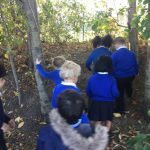 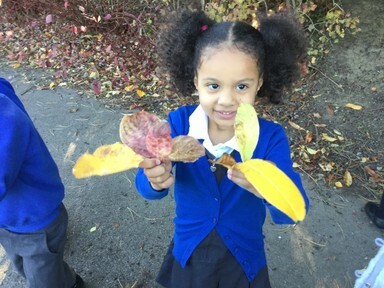 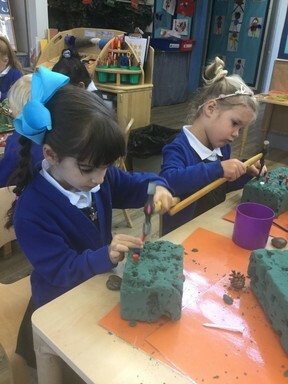 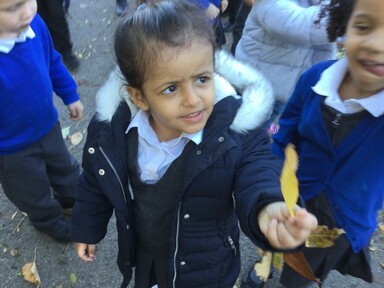 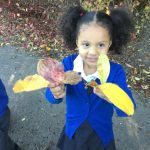 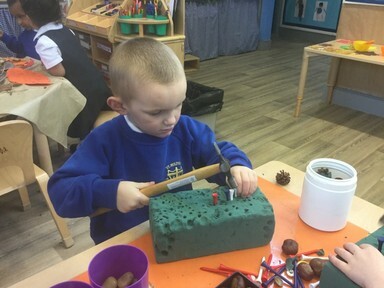 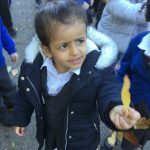 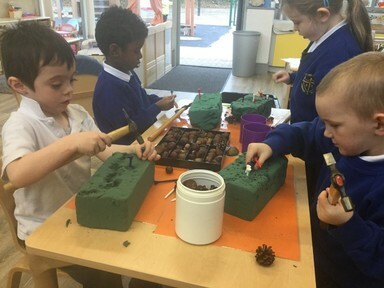 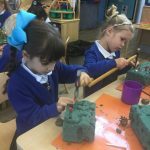 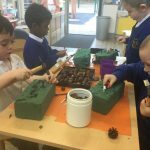 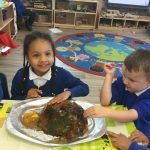 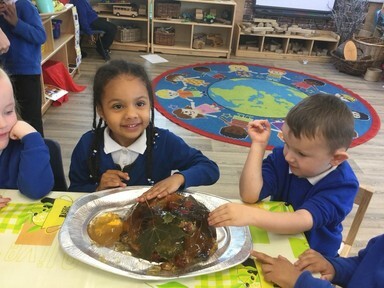 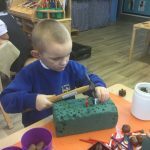 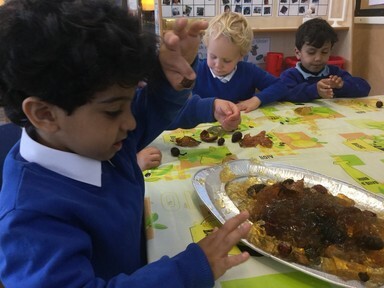 Nursery and Reception children have been exploring all of the Autumn changes that have been happening around us. 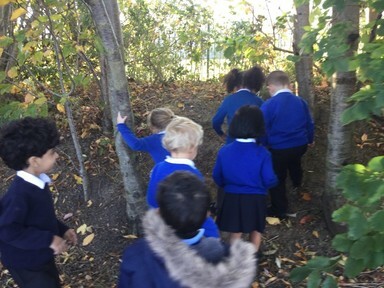 Engaging in activities such as taking autumn walks and hunting for clues of seasonal change. 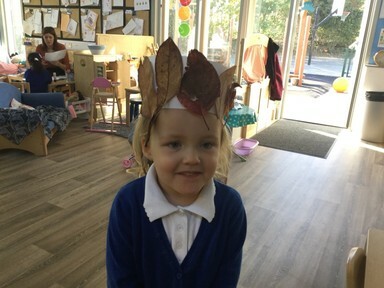 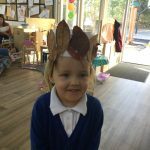 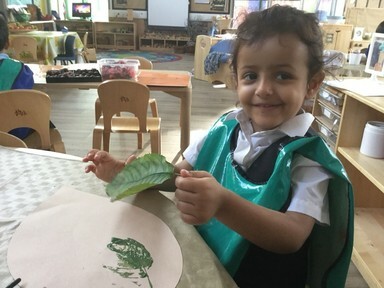 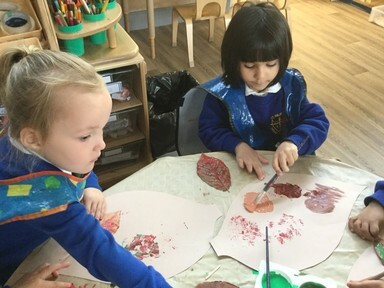 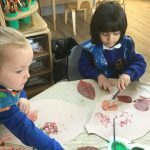 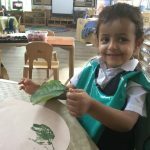 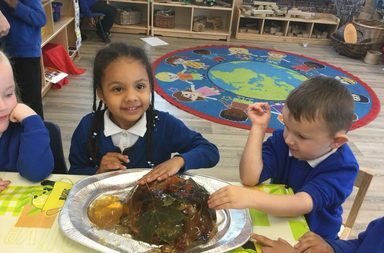 The children used the leaves, conkers and seeds in lots of imaginative ways, such as printing, painting and even making autumn jelly!